NEW YORK – Portugal’s 2-2 draw with the United States on a last-second goal by Varela Sunday was the most-watched broadcast of a soccer game in U.S. history. The match broadcast on ESPN was seen in 9.6 percent of U.S. homes for an average of 18.2 million viewers, the Walt Disney Co. network said in a statement. That total topped the 18 million viewers for the 1999 Women’s World Cup final between the U.S. and China on Disney’s ABC. The rating also topped the previous high for a men’s soccer game in the U.S., which had been a 9.5 for the 1994 World Cup final between Italy and Brazil. The 1999 women’s final remains the highest-rated game, with an 11.4. The U.S. was leading 2-1 on goals by Jermaine Jones and Clint Dempsey when five minutes of stoppage time was added to the clock. Late in the final minute, World Player of the Year Cristiano Ronaldo passed the ball to Portugal substitute Varela, who headed it past U.S. goalkeeper Tim Howard to even the score in Manaus, Brazil. The game ended as soon as play was restarted. 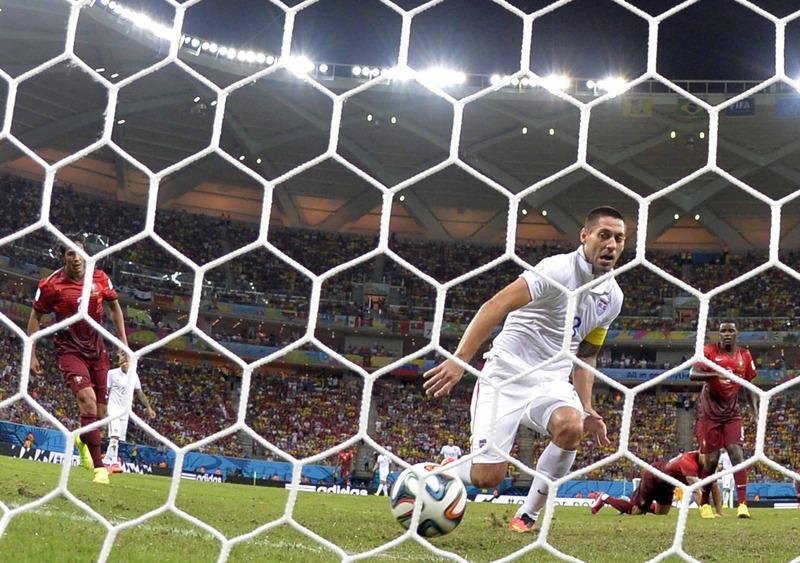 World Cup games on ESPN, ESPN2 and ABC have averaged a 2.6 rating through the first 32 matches. That’s a 44 percent increase over ratings in 2010, when the event was held in South Africa. Sunday’s match was the most-watched non- U.S. football broadcast in ESPN’s history and it set ratings records in 18 different markets, the network said.